From company profit shares to 401(k) matching, annuity purchases to IRAs for tax benefits, the prompting to think about retirement is virtually ongoing until the day you make the decision to turn off the light in your office for good. With planning and preparation, most men can expect to leave the workforce with enough to retire on, and in most cases, this isn’t far from the truth. Unfortunately, the state of wages in the U.S. leaves almost half of the workforce out in the cold: women. The federal wage gap is well known, and while it is not as severe as in the past, many salaried positions demonstrate a discrepancy in income between men and women. In 2014, women were paid an estimated 79% of what men earned. Whether this is ultimately fair or unfair in the present is immaterial; the hard truth is that this issue compounds over the trajectory of a woman’s career, meaning lower lifetime earnings and reduced income to invest in retirement accounts. As a result, many women are left with inadequate savings when it comes time to bid the working world farewell. The outlook for your retirement account as a woman doesn’t have to be so bleak, however. While there’s no perfect solution on the horizon to end the wage gap, proper planning early can make sure you have the nest egg you need later. These three tips will help you bridge the retirement gender gap and make the most of your earnings. Take advantage of your employment benefits. Most employers know how challenging it is to save for retirement, which is why many make retirement savings plans available to their employees. 401(k)s are common tools, and while not all companies offer to match employee contributions, many do. When you are early in your career, it may be a hard choice to withhold some of your paycheck for an uncertain future decades down the road, but it’s an incredibly wise move to make. 401(k) matching is especially beneficial. Your employer is actually contributing to your retirement account, generally as a percentage of your own contributions. As you stock away savings, so does the company you work for, and that’s an advantage you can’t afford to pass up. When you’re in your 20s, it may seem silly to think about where you will be and what you will need in your 60s, but the earlier you can start saving, the better. Your early retirement savings don’t have to be substantial – even a hundred dollars a month can still make a difference – but your savings contributions should be structured. Goal-oriented savings plans are often the most successful, as the process of setting and evaluating goals helps you clearly understand what it takes to prepare for the future. In addition, saving early in your career allows you more wiggle room to take chances in your investing strategy. By investing more aggressively early in your career, your nest egg will be able to grow for a longer period of time, greatly increasing the means you’ll have at your disposal later. Social Security is an amazing resource for millions of older Americans, but it’s not the end all, be all many people plan for it to be. While Social Security does indeed provide income in retirement, it is generally nothing close to the money you made while employed, and the future of the program is currently uncertain. Most retirees who plan to live on Social Security will either have to severely restrict lifestyle expenses, or will need an additional income source. 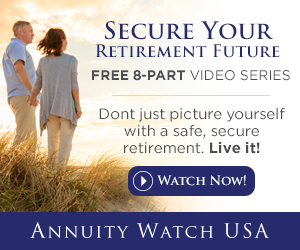 As a safety net, many individuals at or nearing retirement choose to purchase fixed index annuities, an insurance product that guarantees an income stream through your retirement years. By getting started early, you can count on income down the road from multiple sources – Social Security, brokerage accounts, and annuities – in order to avoid having to substantially downsize in retirement. 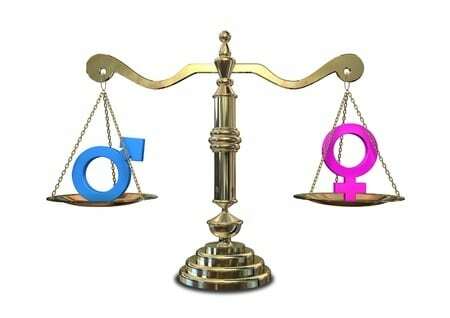 Living with the wage gap between men and women is an unfortunate reality that can have serious ramifications on retirement savings. As a result of decreased income potential over the course of one’s career, many women find themselves with savings that can’t support their current lifestyle and won’t last long after retiring. Taking action early, however, can offset some of this lifetime loss. By taking advantage of employer retirement benefits, saving early and often, and planning for additional income sources in retirement, it’s possible for you to maintain your quality of life for decades after retirement.